Creation, Ezekiel, Lazarus. How are we bound? The lessons can be found by clicking here. I worked most closely with Ezekiel 37:1-14 and John 11:1-45. The creation account used is from Genesis 2. After the mad dash of the last six months, I’m taking a few days off to sleep, unpack and enjoy my new home. 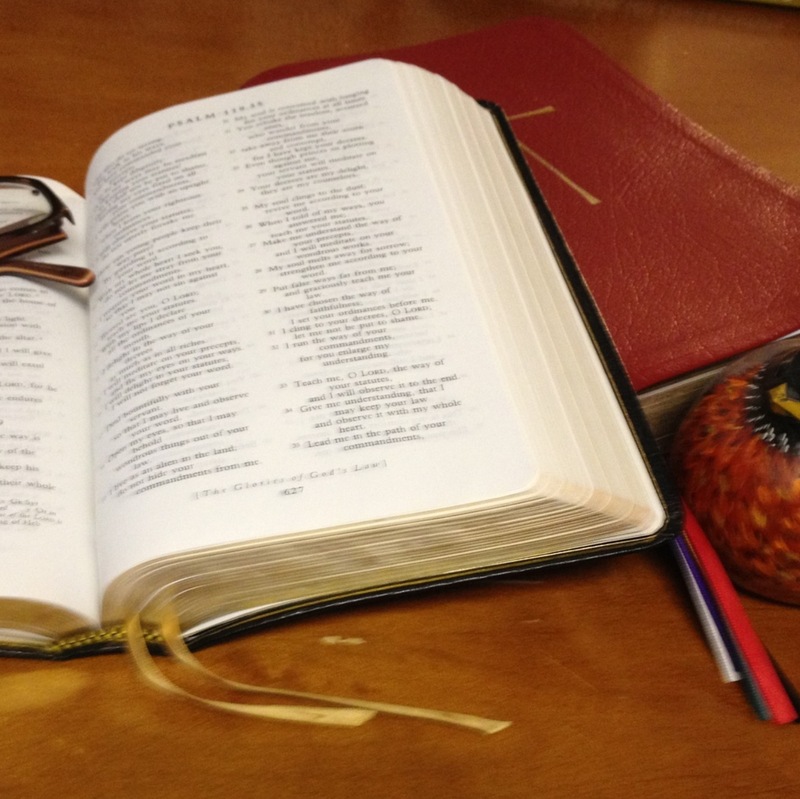 As is my custom, here are some of the sermons is particularly enjoyed for Lent 2. Having not been on the ball with scheduling the Sunday for St Peter’s Scout Troop to join us and make their Scout Pledges, Lent 1 became Scout Sunday. Which became a significant part of sermon preparation. I wanted to acknowledge and include the Scouts but not let their presence overshadow Lent. Good News: Jesus is our priority. As with every interactive sermon, a lot flows from how that interaction goes. I had printed a copy of Baden-Powell’s last message so I could read the quote but I left it at my eps eat and it didn’t feel right to walk back to retrieve it. It was nice to have some interaction. I want to do that more regularly. Mr Henson discusses what we find in the wilderness. Priest Roberston considers lent and sabbath. Priest Baum tells us not to take this personally. Priest Castellan reminds us how good it is that we can’t fix ashes. The year I bought the most (non-school) books was my senior year of college. I was six or seven when I discovered books so I’ve spent almost a quarter century reading, buying, and accumulating books. One of the six bookshelves (yes, six) in my apartment is dedicated to books that I have found and anticipate keeping for a long period of time. Some of them are the books I’ve had since I was six or seven. Books are full of words, ideas, places, and people that I fell in love with. All of it. From the other places and amazing character to the fascinating ideas and the words that brought me all of this. I was a bibliophile before I knew the word, with a healthy library habit and more books than my shelves could hold. I think there is a bit of escapism in every reader. Otherwise we would find no pleasure in spending time in Shanara, Middle Earth, Pern, Narnia or more realistic but happily ending worlds of Beverly Cleary, LM Montgomery, and so many others that passed through my hands. But my senior year of college was unique. That year I needed escape. I’d had brain surgery for the second time. Both my physical and emotional recovery were arduous. Thank God for used book stores and therapists. I relied on both. I learned that while my therapist will help keep me sane, my book buying habits are the first bellwether of serious stress. When I start buying more books than I can read, repeatedly; when the books begin to over-pile the shelves, even by my standards; when things progress beyond the “I like five books but I only really want one” stage; it is time to worry. It has been several years since I worried myself. The upside to having a bellwether is, if you pay attention then you know what is happening. This year I noticed, well, book creep for lack of a phrase. I wasn’t buying more books than normal. I just wasn’t also cleaning my shelves off. I like having my books in my space. I have at least nosed through nearly all of them and they are my friends. There are worlds and possibilities and things I want to know. And there was too much of it. A combination of bookshelf contemplation and Lenten preparation led me to one conclusion: it was time for fewer books. And because I knew I would not do it without a number, I gave it one. For Lent, I would take 100 books out of my apartment. 100 of my friends, of the books I had held and read and wanted to know, gone. There were rules, of course. I have always found it useful to be specific in my Lenten disciplines. (There is a difference between no candy and no chocolate.) Duplicate books counted. 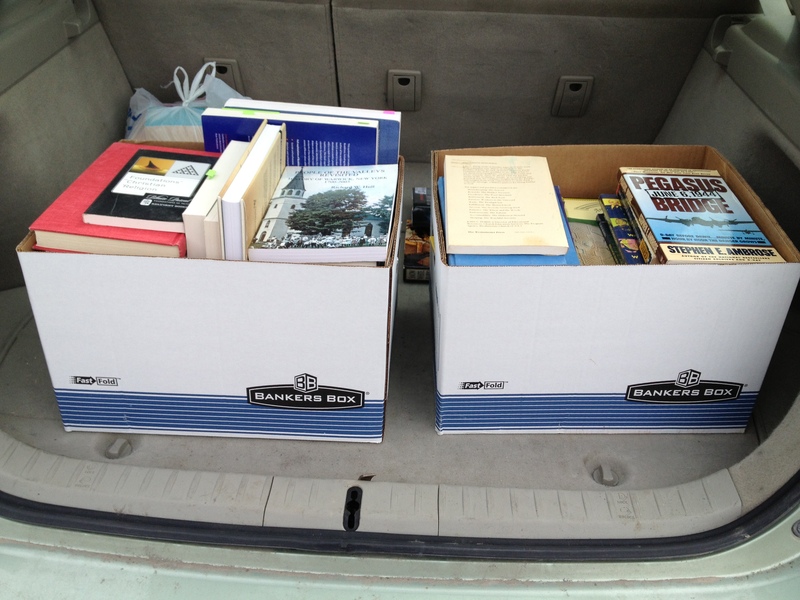 (I had a few on the theory that they would be books I would give away, eventually.) Fiction books didn’t count. (The fiction section of my library is better cultivated and edited than others so I knew it would be too easy to remove some of those books.) And all 100 books had to be out of the house or boxed by Easter. Anything else was too much wiggle room. At the beginning of Lent I had cataloged 650 books in my library and figured there were about 50 uncatalogued books. (This should not shock you, I spent a lot of time in libraries as a child.) 100 books, my goal, was about %14 of my library. The first ten books were easy. The next ten weren’t too bad. I got to 50 without any huge difficulties. 50-75 was challenging. The last 45 (because I actually went 20 over) were a debate on every single book. But in 40 days 120 books left my apartment. In my Ash Wednesday sermon this year, I preached that Lenten disciplines are about drawing closer to Christ. In selecting books to give away, I accepted. I accepted that I will never be an expert on the Cold War, the Holocaust, Celtic Christianity, and so many other things. I came to terms with only owning one book about many topics. I held old friends and got lost in a few. As I held books I could not part with I began to realize that this discipline wasn’t at all what I thought. I had thought giving these books, my escapes, away would be about being more vulnerable and less armored. And that terrified me. In culling down my bookshelves, I have indeed found myself, not more vulnerable but less distracted. More aware of the things I may truly be called toward as opposed to just interested in. 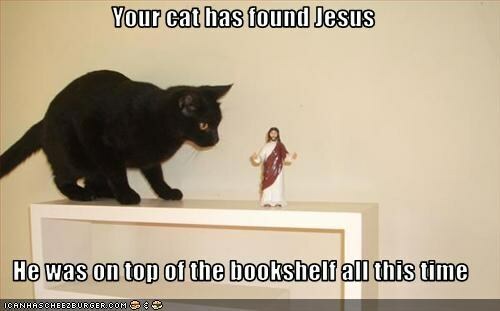 Perhaps, this time, Jesus was on the bookshelf. The lessons can be found by clicking here. I preached on Incarnation and Crucifixion. How did we think the Incarnation was going to end? The lessons can be found by clicking here. I worked with Philippians 2:5-11, the ride into Jerusalem, and story of Jesus. Glory is due to Jesus. Which is where we start today. And Jesus is not done. The lessons can be found by clicking here. I worked most closely with Luke 15: 1-3, 11b-32. Coming home again is hard. The lessons for Sunday can be found by clicking here. I worked most closely with Luke 3:1-9. Today Jesus tells us the parable of the Fig Tree (and the Gardener).